Devki does her best to develop a bond with her step daughter Arya, but a gruesome incident changes their life forever. One Line Review: Devki is trying her best to bridge the gap which exists between her and her step-daughter Arya. But an unfortunate and horrific incident changes their life forever. 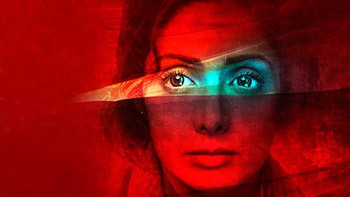 Positive Points: Impeccable performances by Sridevi, Nawazuddin Siddiqui and Sajal Ali, coupled with a taut screenplay, make Mom a perfect watch this weekend. Negative Points: The film does not seem to have negative points as such, but editing could have been a bit better. Even after facing competition from other films and getting lesser screens, Hichki saw growth on Sunday! Queen Hawa Hawai, on her storming act that all the Motherhood are in tack, where mother word is born once again,light on a perfect day light in believing as Mom.